For the adult baby, the perfect world includes a crib to sleep in. Actually, this isn’t true for everyone – it depends on inner age…there can be nothing like a firetruck bed with plastic sheets for an ‘older’ boy. But I’ve been thinking about a crib because Timmy is a toddler and while sometimes he thinks of a bed like little kids have, more often it’s a crib that he dreams about. The crib I imagine for Timmy is white and is the perfect size: he has plenty of room to wiggle, stretch his legs out, (and then curl them up again! ), and roll around in as he settles down for the night or for a nap with his favorite stuffed bears and a few toys. But it isn’t too large either, he doesn’t look like he’s lost in it, or that he’s in a “big bed” that was simply adapted a little. The crib is a magical place for Timmy. Being put in his crib usually follows one of his favorite things in the world: getting changed. With his clean diapers on, he’s able to settle down and feel comfortable and well protected. The crib has a plastic cover on the mattress which makes a reassuring crinkle sound beneath him. I imagine it having a powder blue color with patterns on it: ducks maybe, bears, and other animals. The rails of the crib make a reassuring ‘click’ when they’re raised. This sound and the sight of the crib bars being raised around him give the toddler a sense of security, safety and well-being. 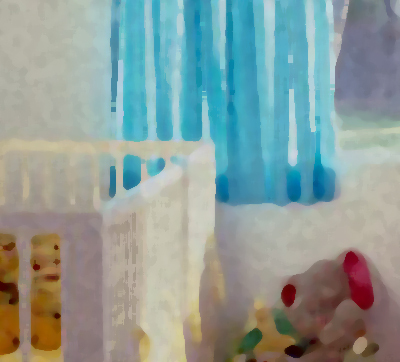 The bars are closely spaced but not so close that he can’t look out into the room and in particular see his dad sitting in a chair by the crib while he settles down to sleep. There’s a plastic ‘bumper’ around the edges of the crib, again with a babyish pattern, which provides a further sense of security: the little one won’t bump his head on the rails, and the pattern puts him in a toddler mood. 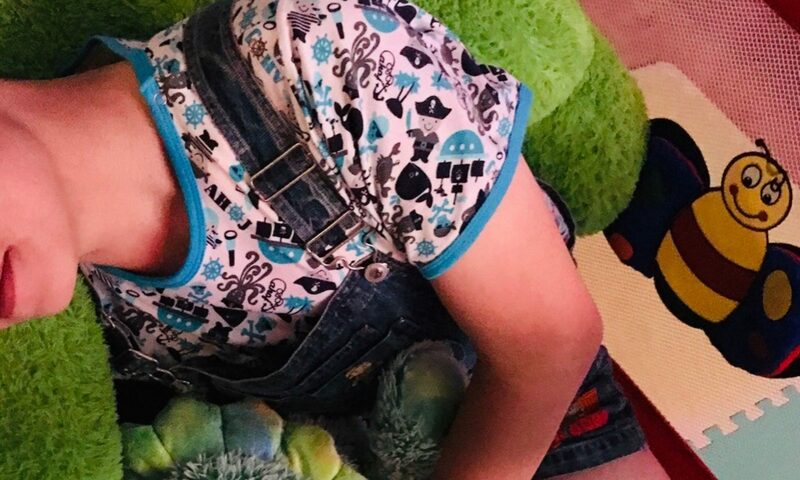 There are toys attached to the sides of the crib which he can play with and look at and there are a few items in the crib with him, in particular his favorite stuffed animals! He has a nice soft blanket which he curls to his chin as he lies in the crib, the fleece feeling reassuring and warm. A mobile hanging above the crib draws his eye. The slow rotation, the colors, find him gazing at the mobile feeling a trance-like sense of ease and sleepiness. It’s a safe comforting place for Timmy and being at ease in the perfect crib lets him dream toddler dreams. WHERE DO I GET/ OR HOW DO I MAKE A CRIB THAT I CAN FIT IN? when all the visual cues around you tell you that you ARE a baby it is much easier to really let those babyish feelings show! a crib would be so perfect… and don’t forget a high chair for feeding time! Previous PostPrevious What Kind Do You Wear?